In Los Angeles, swimsuit season continues year round. However, if you feel self-conscious about your body due to excess fatty tissue, you may not want to participate in beach or pool activities. Diet- and exercise-resistant fat can be difficult or impossible to remove via traditional means. Fortunately, there’s a non-surgical treatment option that can be completed in about 25 minutes and typically results in little downtime. SculpSure™ by CynoSure® is an innovative light-based technology that is FDA-approved to reduce fatty tissue on the flanks (hips), abdomen, back, thighs, and beneath the chin. Dr. Christine Petti, our board-certified plastic surgeon, was the first physician in the South Bay to offer this revolutionary device. If you believe SculpSure™ may be right for you, contact us today to schedule a consultation. The FDA-approved SculpSure™ system harnesses breakthrough thermal technology to reduce areas of stubborn, excess fat non-invasively. Using a specific wavelength of laser energy, the SculpSure™ device warms fat cells to between 42 and 47 degrees Celsius to induce destruction of fat cells (a process called “lipolysis”) without harming the skin or surrounding healthy tissue. The broken down fat cells are then flushed away by the lymphatic system, creating a leaner look in the treatment area. What are the Benefits of SculpSure™? Treatment sessions with SculpSure™ are virtually painless compared to other non-surgical fat reduction options, such as CoolSculpting®, which can be extremely uncomfortable. Utilizing a flat paddle—no suction required—the SculpSure™ device delivers thermal energy into the targeted area. This energy is designed to disrupt and destroy fat cells without harming the surrounding tissue. Your body can then eliminate the damaged cells through normal processes. Gentle yet effective, SculpSure™ utilizes a controlled cooling system to help enhance your comfort throughout the process. The procedure can be completed in as little as 25 minutes, and SculpSure™ can address four areas at one time! After the treatment, you should be able to return to your normal routine immediately. What Happens During SculpSure™ Treatment? Prior to beginning your SculpSure™ sessions, Dr. Petti will develop a customized treatment strategy aimed at improving your areas of concern. When you come to our office for your session there is minimal preparation required to get started. As you sit comfortably in the treatment room, the four paddles of the SculpSure™ system will be positioned into the proper configuration against the surface of your skin. Once the paddles are in place, treatment can begin. The SculpSure™ system will alternate between warm and cool cycles, as the fat cells are heated to a very precise temperature. The majority of patients describe the 25-minute process as “comfortable” and appreciate having the option to read a book, use their iPad, or listen to music during treatment. Immediately after your session your skin in the treated area may feel warm and appear flushed. A slight amount of swelling can develop as the body’s lymphatic system works to remove the damaged fat cells and flush them out of the body. For some patients, lymphatic massage can be beneficial for encouraging this process. If you are interested in achieving maximum results or have a thick area of fatty tissue you would like to address with SculpSure™, Dr. Petti may recommend that you return for repeat sessions on the same areas to accomplish a greater degree of fat reduction. What Results Can I Expect after My SculpSure™ Treatment? SculpSure™ offers gradual, natural-looking results. You should begin to see the benefits after about six weeks, with the final outcome visible after approximately 12 weeks. 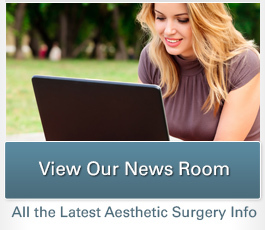 In general, you can expect to see a 24 percent reduction in fat in the treated areas. One therapy session can accomplish considerable improvement in body contour, although your cosmetic goals may require additional sessions. Dr. Petti will develop a customized treatment plan during your initial consultation. 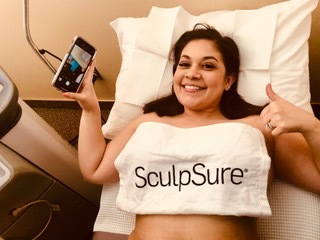 We invite you to check out SculpSure™ before-and-after photos featuring Dr. Petti’s patients to see examples of the results that are possible with this innovative technique. Dr. Petti’s experience and expertise in administering SculpSure™ treatments helps her achieve optimal outcomes for her patients. 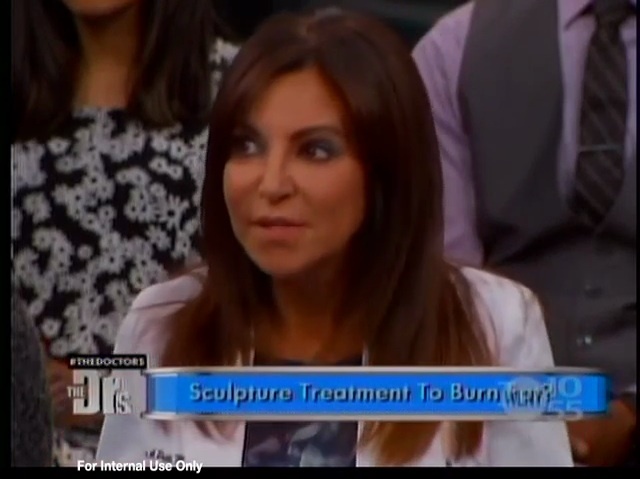 You can also see how SculpSure™ compares to similar treatments here. 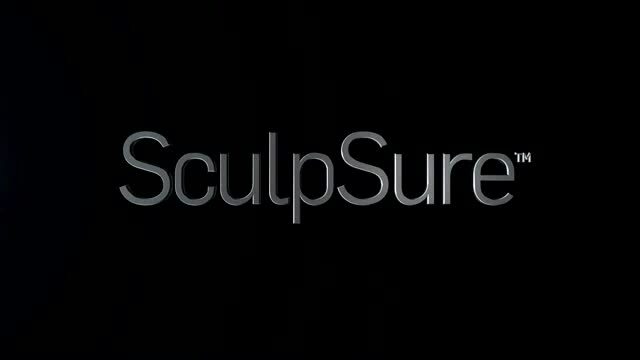 We welcome you to view this informative video comparing SculpSure™ with CoolSculpting® to see the advantages of this 25-minute game-changing procedure. How many SculpSure™sessions will I need to accomplish my fat loss goals? Each body is different and requires a unique treatment strategy to achieve specific goals. SculpSure™ is most effective when addressing small to moderate quantities of isolated fat; however, it is possible to treat larger, thicker layers of fat with good results. During your one-on-one consultation, Dr. Petti listens carefully to the concerns you have about your physique and the new look you would like to attain with SculpSure™. Using her extensive experience with SculpSure™ as a guide, she can explain approximately how many sessions it may take to see the degree of improvement you’d like. Depending on how your body responds to treatment, she may adjust the number of necessary sessions as treatment progresses. Do I need SculpSure™ or liposuction? In addition to non-invasive SculpSure™, Dr. Petti also offers laser-assisted liposuction using Smartlipo Triplex™, which was also developed by Cynosure®. Smartlipo Triplex™ is considered a minimally-invasive laser surgical technique that can de-bulk and sculpt fat, as well as tighten the skin. While both options are state-of-the-art solutions for fat reduction and body sculpting, each has its benefits and drawbacks based on your unique needs and goals. During your consultation, Dr. Petti can help navigate your options to achieve a treatment plan that is custom-tailored to suit you. In some cases she recommends combining both SculpSure™ and Smartlipo Triplex™ to deliver optimal results. How much does SculpSure™ cost? Since each treatment plan is unique, the complete cost for SculpSure™ treatment varies from patient to patient. The total price will depend upon the number of sessions you require to meet your treatment goals. During your consultation, Dr. Petti can provide you with a detailed estimate for the plan she recommends. We offer plastic surgery financing through third-party lenders, such as CareCredit®, which offer low monthly payments on approved lines of credit. 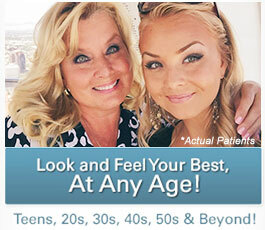 This option often makes SculpSure™treatment more affordable for budget-conscious patients. Why choose Dr. Petti for SculpSure™? Dr. Petti’s decades of experience, skill, results, and patient-centric approach consistently earn her 5-star reviews and glowing personal referrals from her patients who have undergone a variety of surgical and non-surgical procedures. 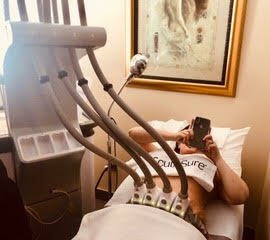 In addition to being the first plastic surgeon in our area to offer the state-of-the-art SculpSure™ technique, Dr. Petti also trains other physicians to use this device. As an advocate of continuing medical education, she believes passing on her experience and skill can help practices around the nation achieve a higher level of safety and efficacy with SculpSure™. For more information about how SculpSure™ can help you achieve your body contouring goals, please contact our office today. Our knowledgeable medical team can answer your questions and help you schedule a consultation with Dr. Petti.